Summer is fading fast, so make sure you take every chance you get to fire up the grill. Today's excuse: Meatless Monday. Upgrade yours by grilling up some of your favorite summer produce. Here, nine delicious grilled vegetable recipes for a perfect, late-summer Meatless Monday. Surprisingly, lettuce is fabulous grilled! If you're bored with the same old salads, try this one; it's really special and different. 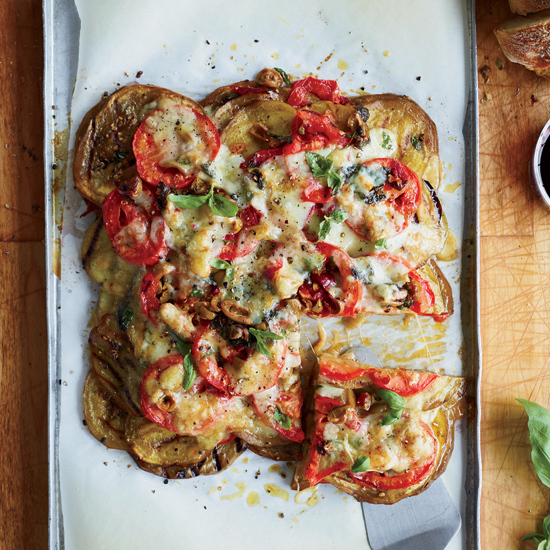 This grilled-vegetable version of eggplant Parmesan is much lighter than the fried kind. 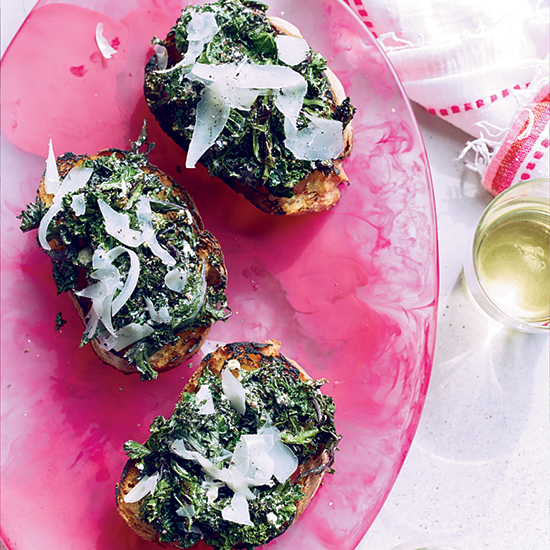 Smoky grilled kale gets tossed in a tangy yogurt dressing and mounded on crusty bread in this no-fuss starter. To amp up grilled vegetables, chef Zakary Pelaccio serves them with tender grilled garlic, fresh basil and a drizzle of red wine vinegar. Sweet and spicy Asian seasonings flavor this composed salad. 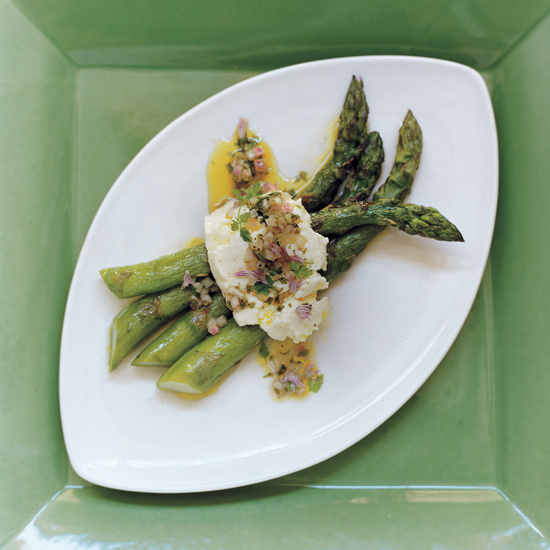 Fresh mozzarella melts lightly on the just-grilled asparagus spears; lemon vinaigrette adds bite. 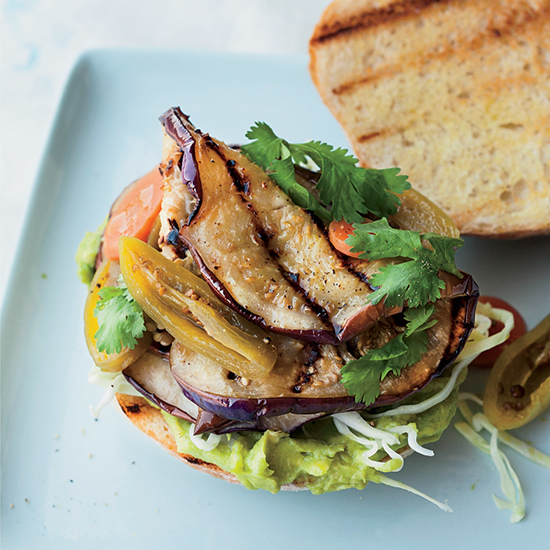 This vegetarian sandwich—piled high with grilled eggplant, sliced avocado, pickled jalapeños and crisp cabbage—is unbelievably hearty and delicious. 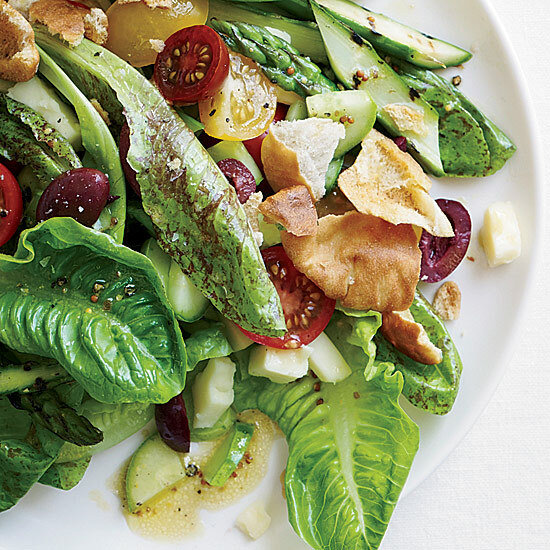 Bobby Flay makes this delightful grilled asparagus salad with sweet grape tomatoes, briny kalamata olives and sharp white cheddar. Each bite brings out a different combination of ingredients. Belgian wheat beer pairs wonderfully with vegetables because it's light and dry. Try Blanche de Bruges, which is flavored with coriander, orange peel and aromatic peppers.